The polar regions encompass the areas of the globe surrounding the North and South Poles that lie within the Arctic Circle in the north and the Antarctic Circle in the south. Conditions at the poles are harsh, but the polar regions are far from lifeless. The interaction between living and nonliving things form the framework of the ecosystems in this biome. The ecology of the polar regions is classified as tundra. Cold temperatures, little precipitation, treeless plains and a lack of biodiversity define this biome. The growing season is extremely brief, and populations can vary dramatically based on the availability of resources at a given time. The Arctic tundra comprises the North Pole, found in the ice-covered portion of the Arctic Ocean, and the northernmost coasts of North America, Europe and Asia. The tundra of the South Pole region includes the continent of Antarctica and the surrounding Antarctic islands. Living things make up the biotic factors of an ecosystem. Plants and animals have adaptations to survive the cold, dry conditions. Thick fur and insulating layers of fat or feathers aid in animal survival. Animals commonly found in the Arctic tundra include herbivores such as rodents, hares and caribou, and carnivores such as foxes, polar bears, wolves and walruses. Several avian species thrive here including terns, gulls and falcons. Some insects are successful in the Arctic, such as mosquitoes and blackflies. Animals make the most of the short periods of relative warmth by reproducing and raising their offspring quickly. Most plants are perennials, which allows them to reproduce by sending out runners, which is necessary because producing fruit takes time and uses a lot of nutrients. Plants such as short grasses, low shrubs and mosses grow close to the ground to conserve energy for reproduction and stay protected from the wind. 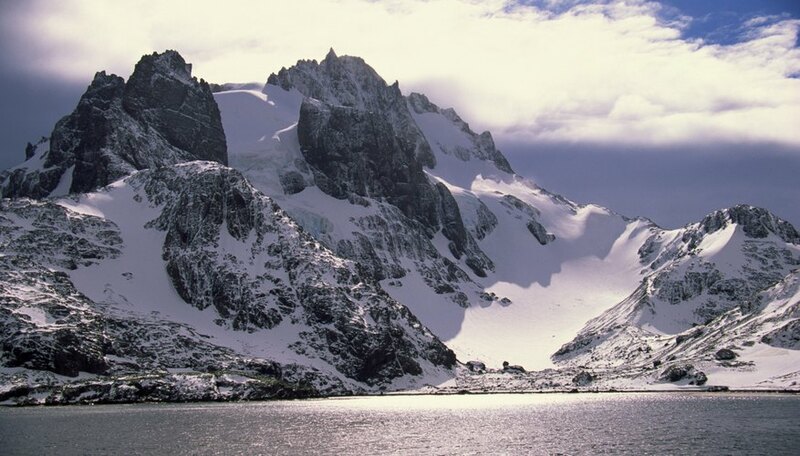 The Antarctic tundra has less diversity than the array of terrestrial species in the Arctic. Only a few species of moss, algae, lichens and flowering plants live here. The sparse number of terrestrial species includes mites, ticks and a species of wingless fly. Most animals in the Antarctic region live in or near the ocean. Marine animals include whales, seals, penguins, squid, fish and tiny krill. Abiotic factors affecting life in the polar regions include temperature, sunlight and precipitation. The top layer of the ground remains frozen year-round, which prevents the growth of plants with deep roots such as trees. The poles receive weak sunlight while tilted away from the sun. Reduced daylight for half of the year limits the types of plants that can grow in this environment. When tilted toward the sun, the increased hours of daylight fuel rapid growth as plants and animals capitalize on extra hours of daylight. Despite the presence of so much snow and ice in the polar regions, these areas do not receive a lot of precipitation and are like cold deserts. Ocean currents are an important abiotic factor in the Arctic and Antarctic biomes because much of the biodiversity around the poles is based on marine life. Ocean currents carry nutrients and small organisms that form the food supply for organisms of these ecosystems. In cold ocean water, ice that forms on the surface causes an increase in salinity in the surrounding water, which increases its density. The dense, saltier water sinks, allowing less salty water to circulate. The flow of water circulates nutrients and carbon dioxide. Nutrient-dense water at the bottom of the ocean is brought to the surface by upwelling currents to provide resources to surface-dwelling animals. Mentzer, A.P.. "Abiotic & Biotic Factors of Polar Regions." Sciencing, https://sciencing.com/abiotic-biotic-factors-polar-regions-15818.html. 24 April 2018.